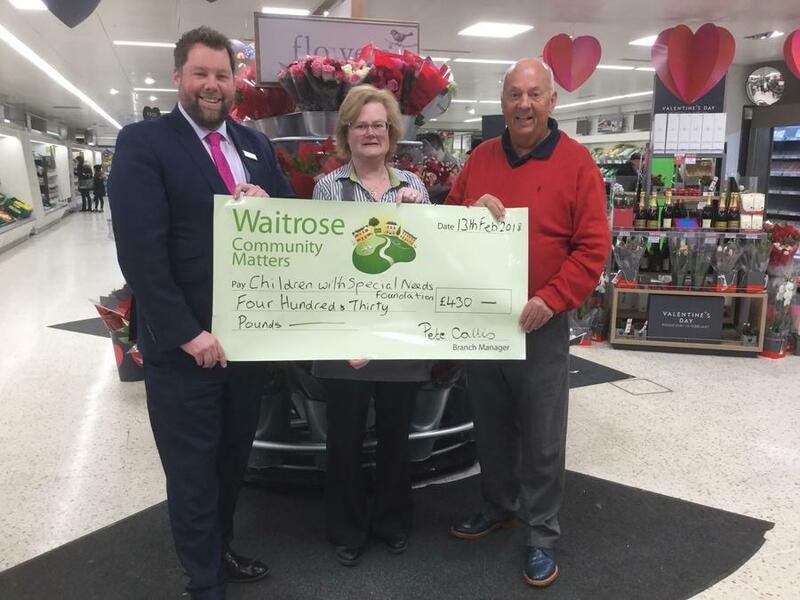 Thanks to all the shoppers at Waitrose West Byfleet for your support! The recent Green Coin community collection totalled £430 for the CWSNF. We really are very grateful. The picture show Peter Collins (manager), Karen King, and our own Gordon Parris.